(Raleigh, NC – August 2, 2018) Kane Realty Corporation, FCPSM and The Indigo Road Hospitality Group are excited to announce that Oak Steakhouse, a modern take on a classic American steakhouse, is expected to open at The Dillon in downtown Raleigh in early 2019. Raleigh is the fifth Oak Steakhouse location and the second in North Carolina with a location opened in Charlotte in May 2017. Oak Steakhouse is the second concept from The Indigo Road to call The Dillon home with O-Ku Sushi slated to open later this year. Oak Steakhouse Raleigh is different from a traditional steakhouse, featuring a chef-driven menu that will change seasonally, inspired by fresh produce that complements a variety of Certified Angus Beef® Prime classic cuts and dry-aged selections. While the menu is still being finalized, guests can expect to find dishes that celebrate Raleigh’s local purveyors. 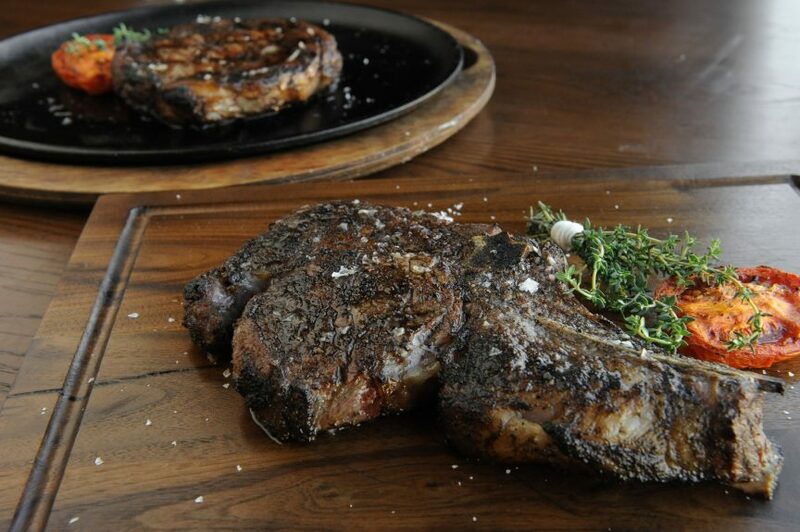 The original Oak Steakhouse is located in Charleston, South Carolina, with sister locations in Atlanta, Charlotte and Nashville. For more information, visit www.oaksteakhouserestaurant.com. The Dillon is the first mixed-use development of its kind in downtown Raleigh’s rapidly expanding, vibrant Warehouse District. The 18-story project will include 220,000 square feet of Class A office space, two seven-story apartment buildings with an adjoining parking deck, and dynamic street-level retail space. With a nod to its 100-year-old history, parts of the original Dillon Supply warehouse building will be preserved and reused in its new life. Learn more about The Dillon at TheDillonRaleigh.com. Kane Realty Corporation (KRC) is a full service real estate development and management company focused on office, retail, multi-family and mixed-use properties of the highest quality. Based in Raleigh, NC since 1978, KRC is dedicated to the goal of creating irresistible places where people will naturally want to gather. Through meticulous attention to detail in every aspect of the property from design and construction management to leasing and property management, Kane’s mission is to build places that improve the quality of life of their businesses, their employees, residents and visitors. For more information, please visit KaneRealtyCorp.com. Federal Capital Partners (FCP) is a privately held real estate investment company that has invested in or financed more than $5.0 billion in assets since its founding in 1999. FCP invests in all asset classes and provides equity, preferred equity and structured debt investments for commercial and residential real estate. The firm, based in Chevy Chase, MD, owns and manages in excess of $2.3 billion in assets. FCP is currently investing its third investment fund, a recently closed commingled, discretionary fund targeted at real estate markets in the Eastern United States.